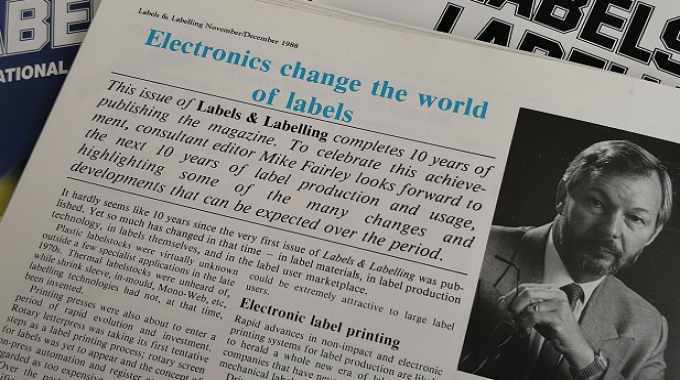 As the first decade of Labels & Labeling drew to a close, Mike Fairley used this article in the magazine’s 10th anniversary edition to prophesize some of the changes and developments expected over the next 10 years. It hardly seems like 10 years* since the very first issue of Labels & Labelling** was published. Yet so much has changed in that time – in label materials, in label production technology, in labels themselves, and in the label user marketplace. Plastic labelstocks were virtually unknown outside a few specialist applications in the late 1970s. Thermal labelstocks were unheard of, while shrink sleeve, in-mould, Mono-Web, etc, labelling technologies had not, at that time, been invented. Printing presses were also about to enter a period of rapid evolution and investment. Rotary letterpress was taking its first tentative steps as a label printing process; rotary screen for labels was yet to appear and the concept of on-press automation and register control was regarded as too expensive. Over the past 10 years there has been a significant move away from mechanical overprinting systems to far more sophisticated electronic, computerised technologies, capable of printing by impact, thermal and, in the past few years, by non-impact methods. 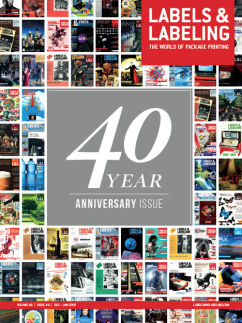 Electronic pre-press systems have gained rapid acceptance in the early 1980s. Constantly evolving, such equipment is becoming increasingly sophisticated – yet still has many exciting possibilities for the future. But it is not only label production that has changed. The buyer of labels has also become more demanding. Higher quality in labels is a continuing cry. So too is the need for shorter lead times, quality assurance, improved application performance, and much more. Certainly the world of labels never seems to stop changing. But if the past 10 years can be regarded as one of rapid change, it’s probably nothing to the deveIopment and evolution that can be expected over the next 10 years – much of that being fuelled by the tremendous advances taking place in computerisation and electronics. So what can the label industry anticipate in the next decade? A slowly reducing price differential between paper and filmic labelstocks is likely to accelerate the use of plastics in labelling. This could be hastened through the use of both thinner face materials and release liners, and of course a new generation of applicators to apply the resulting labels. Advances in coloured, printable and UV-curable silicones could also shortly herald the day when siliconised filmic release liner waste from the applicator could be adhesive coated and perhaps used as a packaging tape by the same company. Logos, promotional messages and safety warnings might be printed or overprinted with silicones in this way, with the potential to expand this technology into new areas, applications and markets for self-adhesives looking extremely challenging. Certainly the economics of self-adhesive labels and packaging tape produced from the same liner could be extremely attractive to large label users. Rapid advances in non-impact and electronic printing systems for label production are likely to herald a whole new era of label printing companies that have never seen a conventional mechanical label printing press. Driven by increasingly sophisticated and miniaturised computers, these new printing technologies – and companies – will rapidly move to higher quality, higher speeds and more advanced production of not only variable data, but also fixed information, multi-colour printing and longer runs. The potential of future generations of ink jet and other fast-evolving print technologies to produce good quality colour, halftone and process printing at high speeds from computer-generated data is both challenging and exciting. Already thoughts are being expressed that, within five years or so from now, advanced ink jet systems could be competing with many areas of work produced by the flexo label printing process. The more electronic and computerised printing capabilities grow, so the need to integrate electronic label design systems to both mechanical and electronic outputs becomes essential. Design a high quality, multi-colour food label on a Purup system for example, and it may be necessary to output this for platemaking – but also to provide a floppy disk or plastic memory card that goes with the printed labels to the customer and which then drives an electronic overprinter or applicator printer to apply date marking, special offer, promotional, competition or other messages to the original, designed and approved label specifications. At the same time as outputting for platemaking, why not provide a disk, memory card or modern link to the pre-press or press department to pre-set or programme the printing units for colour, ink setting, registration tolerances and the like, so minimising press downtime? Use a new generation of high-speed video cameras on the press to check the printed labels and compare them with the colour/register design tolerances created in the electronic design system and held on the memory card, and then provide a computerised print-out of this data for the QC department or customer. Such possibilities are now all becoming feasible. With an increasing need for quality assurance and quality performance, as well as better management information, the use of computerised on-press management and quality information systems can also be expected to grow rapidly in the future. Again, disk, memory card, direct or modem link information from the press, overprinter or applicator could be used to monitor quantity, quality, productivity, profitability – and on a real-time basis if required. Increasing electronics and communications capabilities also bring the prospects of instant label shops or centres, either printing electronically on-demand or linked to remote printing bases. One centralised computer and production centre could be served by remote design or creative units in instant print shops or studios around the country. 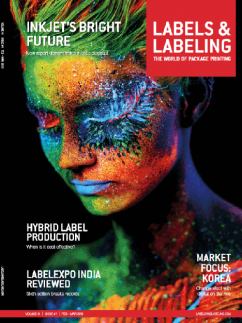 On a wider scale, internationalisation of the label industry is going to bring about moves by big print and supplier groups to dominate world markets. 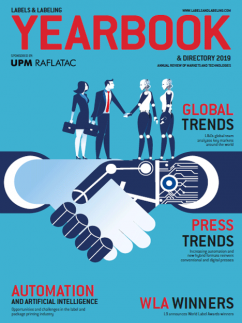 Label and printing groups with manufacturing bases in a number of countries in Europe, and elsewhere, will have a total world market to operate in and new communications and satellite links will enhance such moves. Advanced communications systems and satellite technology will also mean that remote origination, printing, overprinting and programming centres can be operated by groups for the benefit of all production units, which could often be quite small, but high-technology orientated. All of this may sound quite futuristic, but nothing that has been discussed in the preceding paragraphs is not already technologically feasible – although not, at the moment, always viable. Continuing development of electronic and computer capabilities will mean all these ideas could be implemented, perhaps, within the next five years and certainly within the next 10 years. 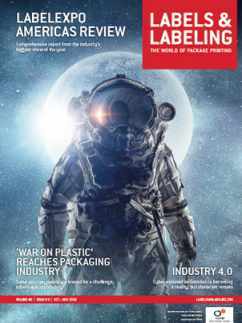 The label production industry – and market requirements – are changing at an increasingly rapid pace. Companies that can successfully harness electronics, computers and new technology to the label users’ needs will be those that grow the most rapidly, and probably the most profitably, in the future. What the label industry will be like in another 10 years is hard to imagine, but it will certainly be very different from what much of it is today. A review of technology and market trends in another 10 years time will undoubted1y make interesting reading. *This opinion article was first published in Labels & Labeling issue 6, 1988. 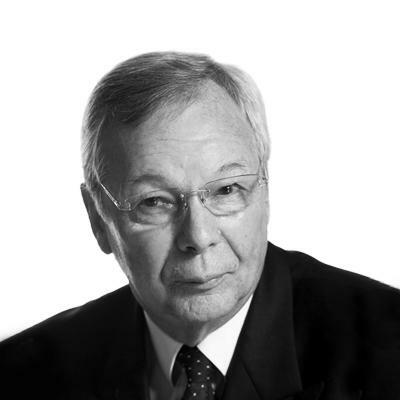 Mike Fairley is Labels & Labeling's strategic consultant.